Irish whiskey was one of the earliest distilled drinks in Europe, beginning around the 12th century, with production reaching its peak in the 1700s, when there were over 1200 distilleries in the country. The fact that the Irish for whiskey is uisce beatha, or water of life, probably says it all regarding the importance in Ireland of this drink. Our signature Irish whiskey tasting flight for €35 per person consists of; Teelings Single Grain, Writers Tears, Connemara 12-year-old, GreenSpot. Our premium Irish whiskey tasting flight for €55 per person consists of; Bushmills 10-year-old, YellowSpot 12-year-old, Redbreast 15-year-old, Midleton Very Rare. Both tastings are presented with a fact sheet containing tasting and nose notes and information on each whiskey. A tour of Irish Whiskey History, to include the decline of Irish Whiskey in the 19th and 20th century due to a number of factors, temperance movement/prohibition/Easter rising/trade war with the UK and the rise of Scotch as the ‘Movie star’ Whiskey. How whiskey is made. Barreling & casking and the flavours it imparts. The difference between Column Stills and Pot Stills. The difference between Scotch and Irish whiskeys. Complete the experience by tasting each of the whiskeys from your selected flight. Pre-booking is essential, as we do not have set tasting schedules. Group bookings are welcome. Sessions are available Tuesday, Wednesday, Thursday & Sunday from 3.00pm – 10.00pm. 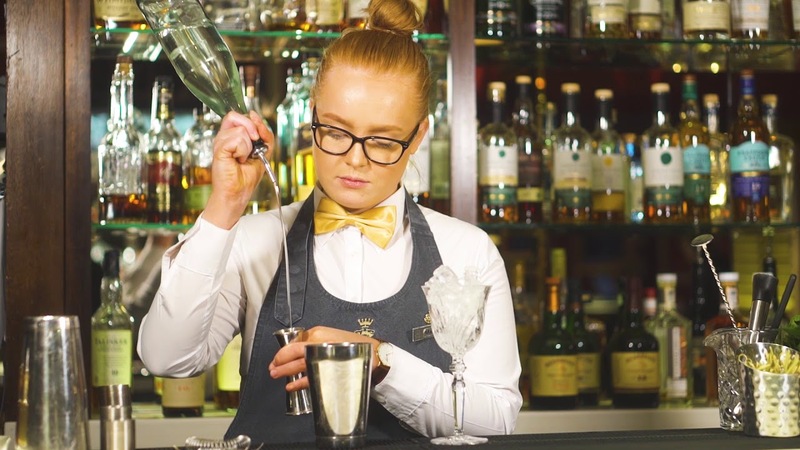 Irish whiskey is once again a world leader, with awards being won and new distilleries scheduled to open, and The Horseshoe Bar has one of the largest selections of fine Irish whiskeys in the city, both contemporary and classic. Horseshoe Bar Whiskey Tasting Flights give guests the opportunity to trial and be guided through a trio of Irish whiskeys, led by one of the Horseshoe Bar’s team of knowledgeable bartenders. Guests will contrast three distinct styles, enjoying them on their own or discussing the merits of each with other guests and the bartender, and with a ‘cheat sheet’ of additional information available on the individual tasting mat. The featured whiskeys will change periodically each quarter. With a half shot of each whiskey to taste – 1½ shots altogether per flight – Whiskey Tasting Flight at the Horseshoe Bar are available throughout the year. For more information or to book please call 01-6634500.